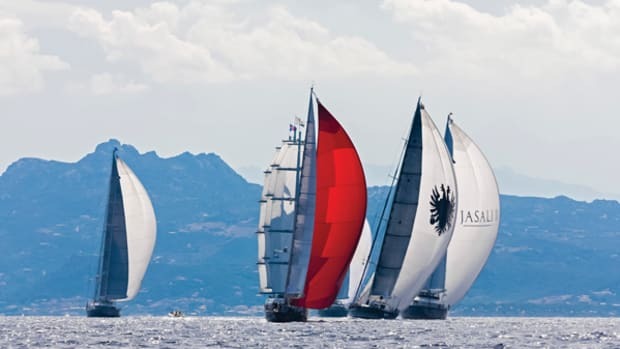 Yacht brokerage and management firm Ocean Independence hosted a glittering event April 25 at the Mall Galleries in London to celebrate the America’s Cup and the Louis Vuitton Cup. 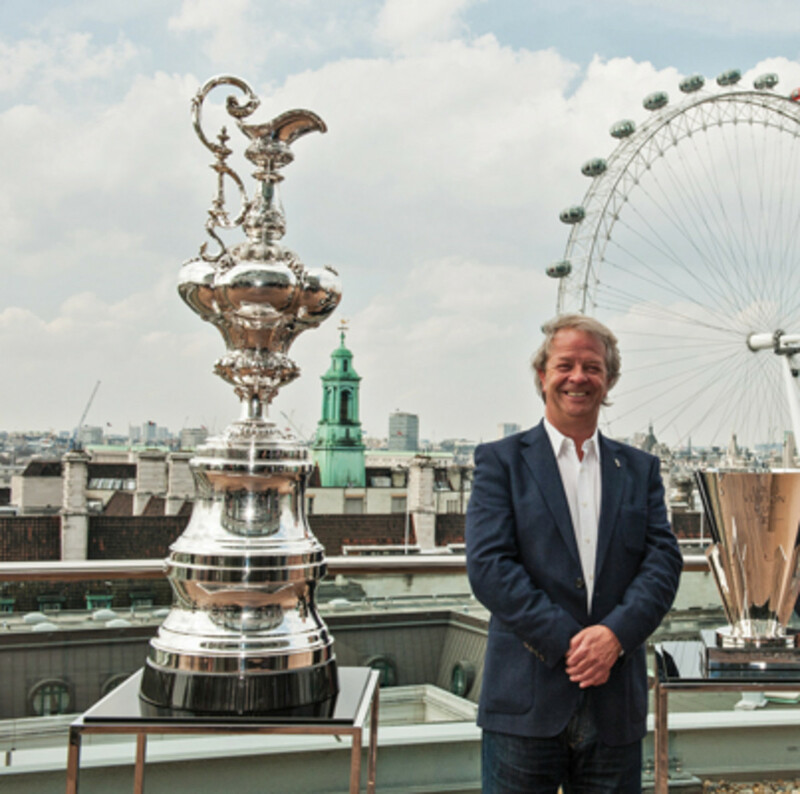 The event, dubbed “Legends in London,” brought the two most coveted trophies in sailing together. 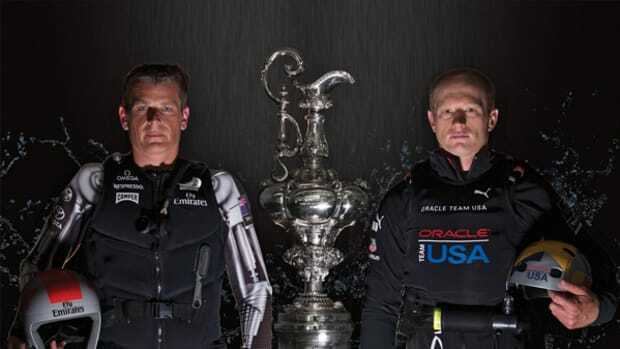 Yacht brokerage and management firm Ocean Independence hosted a glittering event April 25 at the Mall Galleries in London to celebrate the America’s Cup and the Louis Vuitton Cup. The event, dubbed “Legends in London,” brought the two most coveted trophies in sailing together with invited guests for an evening of America’s Cup–oriented programs. A highlight of the evening was Ocean Independence Managing Partner Nicholas Dean presenting his video interview with Sir Ben Ainslie, who became the first person to win medals in five different Olympic Games in sailing. 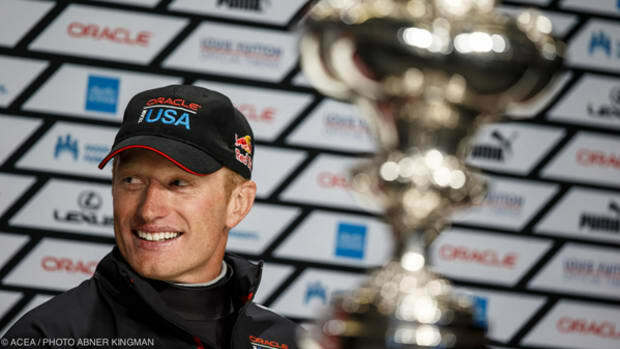 He is the most successful sailor in Olympic history. 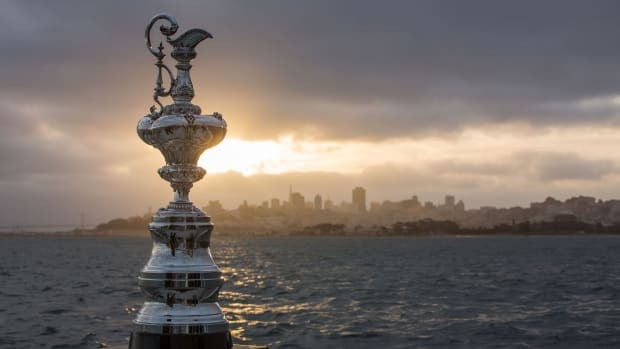 Dean spoke with him in Naples, Italy, about his current participation in the America’s Cup World Series and his future. 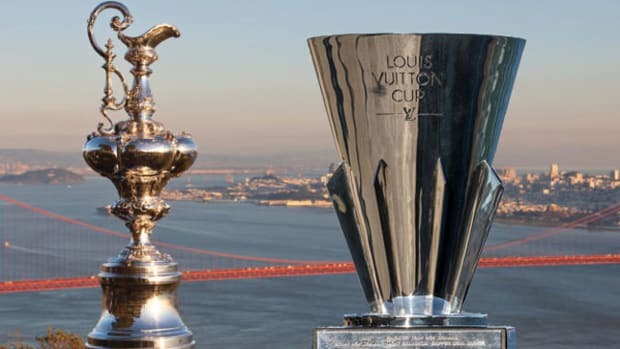 Tom Ehman, vice commodore of the Golden Gate Yacht Club, host of the 2013 Louis Vuitton Cup and America’s Cup regattas in San Francisco, presented an overview of the America’s Cup program. 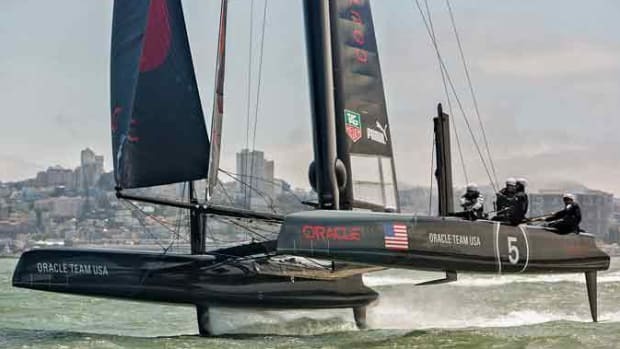 He introduced Iain Murray, regatta director of the America’s Cup, and COO Andrew Hindley. More than 320 guests viewed both historic trophies in the Mall Gallery, complemented by larger-than-life Ocean Independence lifestyle imagery shot by by photographer Martin Morrell and printed by Solutions in Ink. 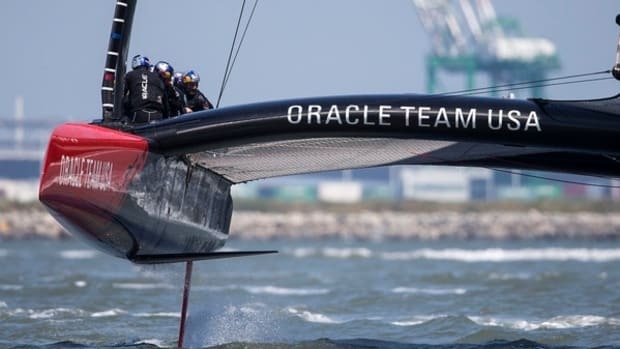 An 85-inch high-definition television linked to Bowers & Wilkins 800 Series Diamond speakers and amplifiers showcased snippets of AC72 (America’s Cup 72 class) training footage sponsored by Icon Connect. 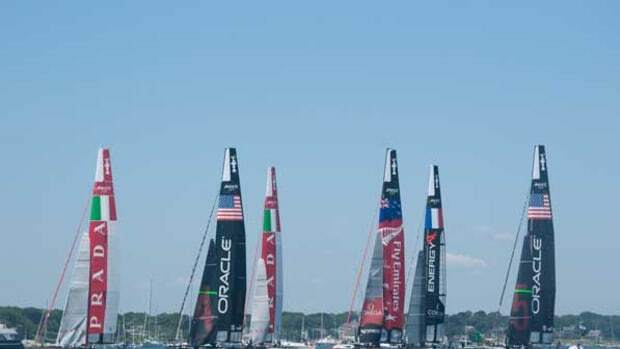 America’s Cup sailor Paul Campbell-James from Luna Rossa provided the experience of sailing to the event, discussing with Ocean Independence clients the new AC72s and their foiling capability. Three Aston Martins—a Rapide S and a Vanquish, presented by Stratstone Aston Martin, and a 1963 Aston Martin DB4 Series 5 in pristine condition, supplied by Speedmaster—flanked the entrance to the Mall Galleries. Absolute Taste catered the event.